Your Finance Formulas: Is it beneficial to pay off your car loan early? Is it beneficial to pay off your car loan early? Most of the lenders including conventional banks offer you the provision to pay off your car loan earlier than the term specified in the loan agreement. However, some of the financial institutions charge you penalties for compensating the loss in the profit expected in the deal. When you sign the loan agreement, you should ensure that there is no prepayment penalty. Clearing the loan early saves a significant amount of money. By paying additional amount every month or paying a lump sum towards the loan principal will help to reduce your burden to a great extent. By closing the loan earlier reduces the loan term and the amount you spare towards the loan interest is much reduced. Though paying off the car loan earlier is beneficial to you, you need to observe whether you can afford it. If you intend using your savings for closing the loan earlier, you need to analyze your profit and loss in the deal. By closing the loan before agreed time, your credit score gets improved. With improved credit score, you can easily access financial support from conventional banks for reasonable interest rates when there is the need for funds in future. By making prompt repayments, you can improve your credit score. As the loan is settled early, you are relieved of your financial burden. 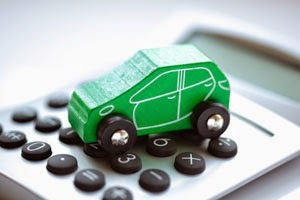 Car loan is not tax deductible and so some of the borrowers might consider applying for home loans to pay off car loans. Though you are just shifting your liability, you are saving on taxes. However, you need to see that you get access to the home loan with lower interest rates. If your car is very old, you can pay off the loan so that you can save on the insurance as well. Generally, the lenders of car loans would require you to possess the collision insurance to get approved for car loan. If the loan is paid off early, you do not have to pay for the insurance which is a savings for you. The ratio between the income and the debt is also reduced by clearing the car loan at the earliest. If you keep paying additional amount towards the car loan, you can save a lot of money that would have to be diverted towards the interest of the loan. Before you decide to pay off your loan early, you should be specific about studying your loan document. Some of the offers come with pre computed interest and if you have obtained such an offer, it might not be advantageous to you to settle the loan earlier as the interest is included at the origination of the loan and so you do not gain by clearing the loan earlier. If you wish to be free of debts, you can clear your loan. Or else, it is recommended that you can secure the amount for some emergency financial needs. Making exact calculations will help to make the decision. The advantages and the disadvantages in the offer should be calculated well before you decide to pay off your car loan early.